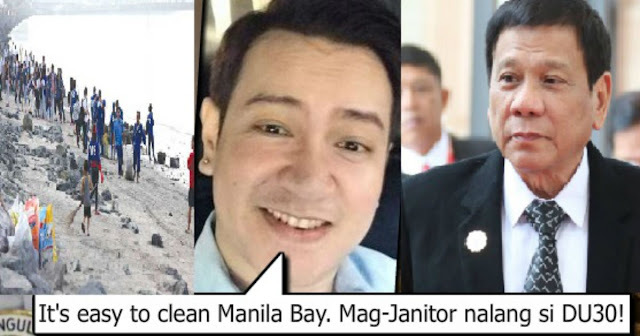 HR Advocate sa Manila Bay Clean-up: "Ginawang Prayoridad ni PDU30 na Linisin Para Takpan Ang Kanyang Kapalpakan Bilang Pangulo"
The newly-cleaned Manila Bay is for days now viral in the social media and in the newspapers. More than 5,000 people joined the Solidarity Walk and participate in cleaning the bay. Now, Manila bay is clean and proud with its breathtaking sunset view. But not everyone is impressed in President Duterte's government. One of the critics of this administration is Francis Baraan IV, a human rights advocate. 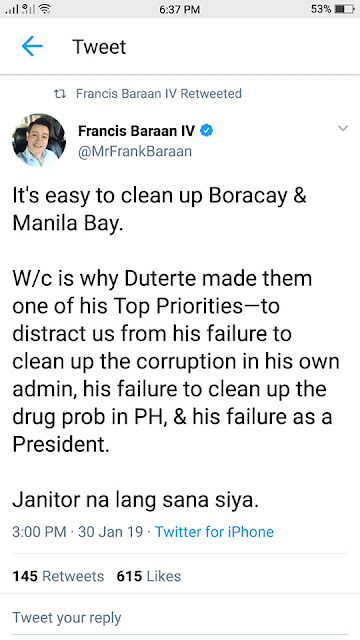 For Baraan, cleaning the Manila Bay and Boracay is easy. 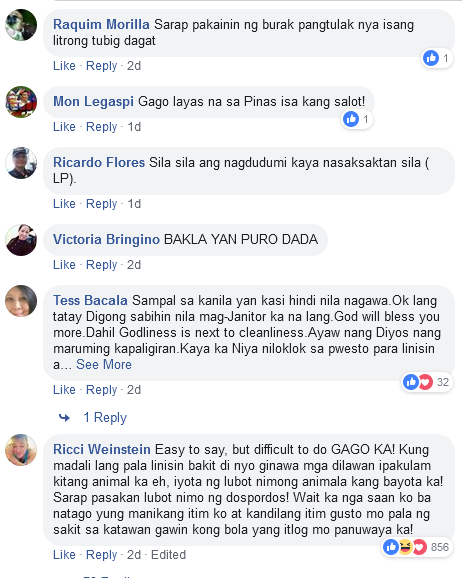 Cleaning in this places is President Rodrigo Duterte's priority to cover his failure as the President of the country. According to him, it was better for Duterte to work as a janitor, not as president. Baraan IV is the son of former Justice Undersecretary Secretary Francisco Baraan III. The father of Baraan IV served the Justice Department under the jurisdiction of former Justice Secretary and now Senator Leila De Lima. Baraan III was mentioned by Colangco that he has connection to drug trafficking in the New Bilibid Prison. But Baraan III denied the allegations. 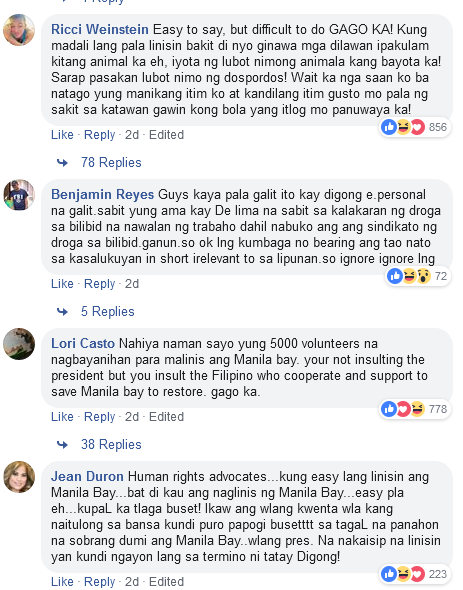 Trending Balita: HR Advocate sa Manila Bay Clean-up: "Ginawang Prayoridad ni PDU30 na Linisin Para Takpan Ang Kanyang Kapalpakan Bilang Pangulo"